AFGHANISTAN - Combat OP's Beret Badge. 100% Genuine Current Royal Marines Commando Issue! Royal Marines Commandos. 'The Royal Marines Commandos'. Whilst On Combat Operations Around The World! 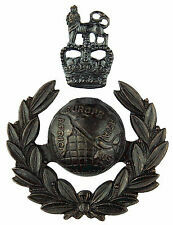 Original Royal Inniskilling Fusiliers Cap badge. Badge backing is new. It was Established on The 06th April 2005 And Is Part Of The UK Special Forces (UKSF) Under The Command Of The Director Of Special Forces, Alongside The Special Air Service (SAS) Specail Boat Service (SBS) And The Special Forces Support Group (SFSG). 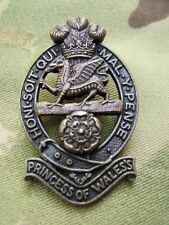 British Army PWRR Princess Of Wale's Royal Regiment Cap/Beret Badge Genuine New! As Proudly Worn By The Soldiers Of The PWRR. British Army. SET OF MOD GUARD SERVICE CAP BADGE & COLLAR DOGS COLLECTION. Condition is New. Dispatched with Royal Mail 1st Class Large Letter. We have been trading in Military Surplus, Collectables and Land Rover Spares for over 22 years and currently have a 6000 sq. ft. warehouse based in West Sussex. Remote areas include Isle of Man, Channel Islands, Northern Ireland, Scottish Highlands, etc. 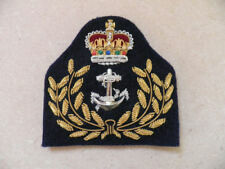 Military Cap/Beret Badge. British Army. 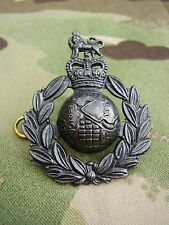 Royal Military Police Famous Red Cap/Beret BadgeWith Slider Type Fixing. Royal Military Police. 'The Royal Military Police'. Remote areas include Isle of Man, Channel Islands, Northern Ireland, Scottish Highlands, etc. As Proudly Worn By The Soldiers Of The PWRR On Their Military Berets. 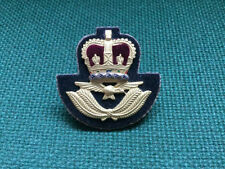 Military Beret Badge And Blue Yellow Blue Backing Ribbon Flash. British Army. & Blue Yellow Blue Ribbon Backing Flash. THE MAROON BERET IS A MILITARY BERET AND HAS BEEN AN INTERNATIONAL SYMBOL OF ELITE AIRBORNE FORCES SINCE IT WAS CHOSEN FOR BRITISH AIRBORNE FORCES IN WORLD WAR II. TWO AIR VENTS. ONE BRASS CAP BABGE. 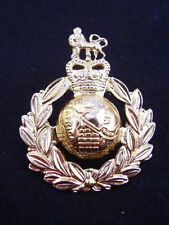 Royal Wiltshire Yeomanry Anodised Aluminium (Staybrite) cap badge, with slider marked J. R. Gaunt B'ham. STERLING SILVER HALLMARKED BADGE IN BOX. & Sew On TRF Patch. Military Cap/Beret Badge & TRF Patch. 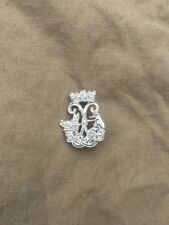 Silver Colour A/A Cap/Beret Badge. British Army. SAS BERET & 2 CAP & 1 ENTITLED BADGE. SAS BEIGE BERET,SUITABLE. BERET & 2 CAP & 1 ENTITLED BADGE. BRASS SAS BERET BABGE. 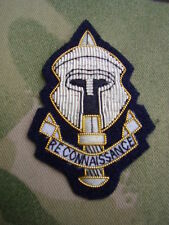 CURRENT CLOTH SAS BERET BADGE. DRAW CORD TIES AT REAR LEATHER BERET BADGE MOUNTING STRIP. Fantastic condition, never been issued. Lovely quality. I am 99.9% sure these are silver plate. 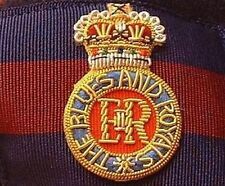 A Vlcro Backed Grenadier Guards Badged TRF Patch. & A Grenadier Guards Badged Combat Jacket/Shirt Vlcro Backed TRF Patch. Grenadier - Coldstream - Scots - Irish - Welsh -Life Guards - Blues & Royals. Grenadier Guards. Remote areas include Isle of Man, Channel Islands, Northern Ireland, Scottish Highlands, etc. Lug / split pin fitting.